The CW has announced early renewals for eight of their current TV shows — The Flash (season two), Jane the Virgin (season two), The 100 (season three), The Originals (season three), Reign (season three), Arrow (season four), The Vampire Diaries (season seven), and Supernatural (season 11). Of the network’s other current series, this only leaves the fate of Hart of Dixie up in the air. Season three of Beauty and the Beast doesn’t have a start date yet but it’s looking like it will have a summer run. January 11, 2015 (Pasadena, CA) – The CW Network has picked up eight of its current series for the 2015-2016 season, it was announced today by Mark Pedowitz, President, The CW, during the network’s session at the Television Critics Association Press Tour in Pasadena. 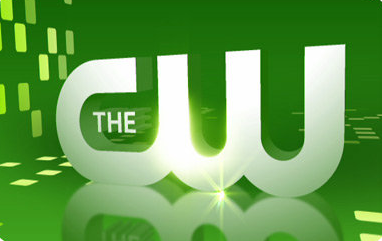 In essence, The CW picked up all of the scripted series from its Fall 2014 schedule to next season. What do you think? Which of these shows do you think you’ll be watching next season? Do you think any of them should have been cancelled instead? More about: Arrow, Arrow: canceled or renewed?, Jane the Virgin, Jane the Virgin: canceled or renewed?, Reign, Reign: canceled or renewed?, Supernatural, Supernatural: canceled or renewed?, The 100, The 100: canceled or renewed?, The Flash (2014), The Flash (2014): canceled or renewed?, The Originals, The Originals: canceled or renewed?, The Vampire Diaries, The Vampire Diaries: canceled or renewed? And the sad state of TV continues. Please add more cop, lawyer and doctor shows. Feces flies. A good moment to point out that, as predicted, this cornucopia of flops kept flopping this season. I will be watching the 100. That show is great! I can’t wait to see what happens in season 3. The finale was so unpredictable in season 2. I will most likely wait for it to be on Netflix. If you haven’t yet watched the 100, then I think you should. It’s something the whole family can enjoy watching. It will keep you on the edge of your seat!!! The 100 is easily the best show. Everyone should watch it, it truly is amazing and I’m looking forward to watching season three and hopefully many, many more! Well done! It’s a surprise to all, but all those shows flopped brilliantly in a completely unforeseen display of utter predictability. Well done CW. We can count on you to keep failing massively and rarely make the Top 10 networks counting cable. I will watch the 100 but not on air will record or watch on demand. Ill be watching Reign! Historical fiction was never more exciting! Superb acting staging costumes!!!! I really liked Reign, the costumes were beautiful, the story line was very good. All those people claiming online they’re watching CW religiously.